What our visitors think "Had a fantastic stay!! Rhoda and her family are some of the friendliest and most accommodating people that I have ever met. Would recommend a visit here any time. "What a place, what a welcome. 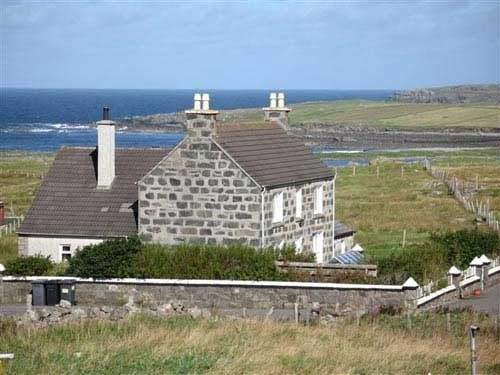 Our first visit Lewis has been memorable... welcomed into the home of a lovely family." 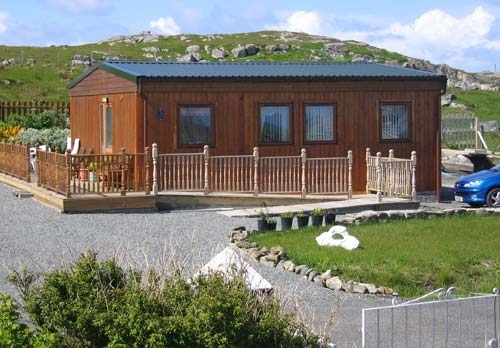 "Lovely accommodation and all the extras, especially the baking, have made our first visit to the Western Isles truly magical." "You have really gone out of your way to give us a fantastic time and for this we are truly grateful." "Going home is always hard for us - even more this time." "We have been 'spoiled rotten' - thank you for a memorable holiday. You have thought of everything we could possibly need or be interested in..."
Neil & Rhoda look forward to welcoming you to the peace and comfort of Kabuis and apart from taking care of every practical detail of your stay love meeting new people and taking time out to talk of the area, the village, the Hebrides and it's heritage and culture. Neil and Rhoda's acre croft borders Loch a Bhaile, where bank fishing is available to guests - brown trout and, in season, the odd sea trout or salmon are to be had, with the occasional flounder to startle the unwary. The whole locality is rich in wildlife - red-throated divers nest on Loch a Bhaile; skylarks trill and snipe flutter; through June and July, the corncrakes boom, and you might even see an otter. Nothing is rushed here: there are no deadlines, no office grind, no urgency. As we like to say here in the West - when the Good Lord made time, he made plenty of it. Come and enjoy the serenity, comfort, friendliness, rich Hebridean tradition, golden sandy beaches and not forgetting the sound of silence. Their Kabuis facilities are justly renowned for attention to detail - you'll marvel at the tasteful, contemporary decor, the high quality of fittings and finishes, the provision of every utensil, gadget, and comfort the Macleods could think of - and, of course, they are never far away if you need anything else. 1 Self Contained Wing *** Price: £395 per week *** electricity included. CHALET *** Price: £425 per week *** with electric and heating extra.